The real estate brokerage model has changed dramatically over the past 10-15 years. Our perspective is that our agents are our business partners. The role of the brokerage is to provide agents with the tools, support, and training to create and run their own businesses on our platform. At Weichert Civic Center Realty, we don’t just hire and leave you to move your business by yourself. We give you the transition support necessary to keep you moving forward during and after changing companies. Less than 20% of real estate associates have a business plan. Weichert Civic Center Realty believes without a detailed business plan to answer key questions about your business and provide you with a platform for future growth, success in real estate becomes much more difficult. Our real estate coaching and business planning outlines and evaluates all aspects of your real estate business and establishes a specific roadmap and process on how you will achieve your goals. A good business plan starts with your "Wish List" i.e. how much you wish to earn, and then guides you through the process of examining the key aspects of generating positive income: Revenue, Expenses, and Business Development. Agents who apply basic business planning principles to their real estate practice are almost always more successful. The difference between a job and a career isn’t just luck. You need to have the drive, as well as the resources, to get the job done. No one else can do it for you, but if you have the initiative, we’ll make it possible for you to go as far as you want! That’s how you become a successful agent! At Weichert Civic Center Realty, you’ll always have the resources to help you make the “Best” conscious decisions. From our initial training to ongoing coaching, we are committed to making all the “parts” stronger! Picking a brokerage to work for shouldn't just be about what tools, apps, and software they provide but those things are certainly still important. 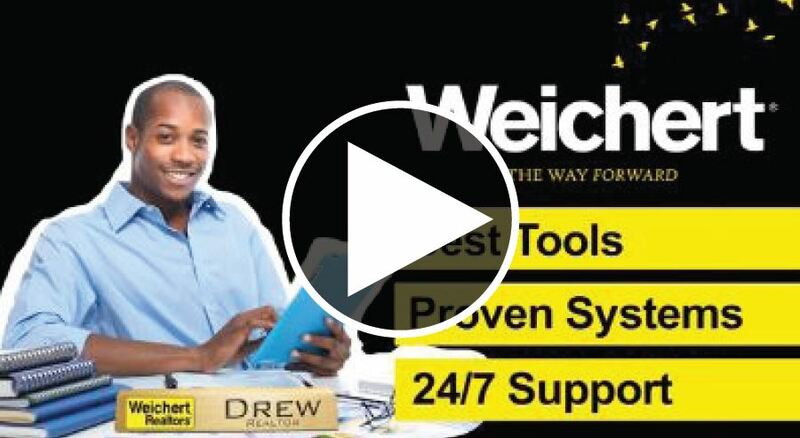 We believe that by combining the amazing suite of powerful tools that Weichert provides with our own curated platforms and software, our agents will be armed with everything they need to be successful. This 24/7 website gives brokers and sales professionals access to industry news, along with exclusive tools, services, training and marketing programs to help improve your skills and grow your business. This resource provides you with every template you will ever need to market yourself or your listings both in print and digital format. This mobile app provides consumers access to you and your listings using today’s smartphone technology. You can provide past clients, as well as everyone else in your database, regular activity reports with information and links to new homes on the market, recent sales, as well as property status and price changes. Our platform will help you acquire, engage, and efficiently manage all your social media outlets, create and send new content, and learn when customers interact with you. With programs for newly licensed associates and advanced programs for the seasoned pro, Weichert Civic Center Realty associates can attend live or recorded professional training anytime online through our intranet.